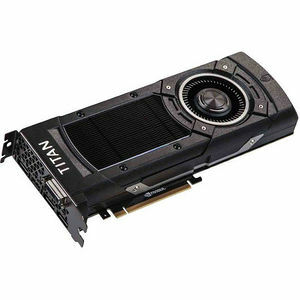 The EVGA GeForce GTX TITAN X combines the technologies and performance of the new NVIDIA Maxwell architecture in the fastest and most advanced graphics card on the planet. Enjoy hyper-realistic, real-time lighting with advanced NVIDIA VXGI, as well as NVIDIA G-SYNC display technology for smooth, tear-free gaming. Plus, you get DSR technology that delivers a brilliant 4K experience, even on a 1080p display.